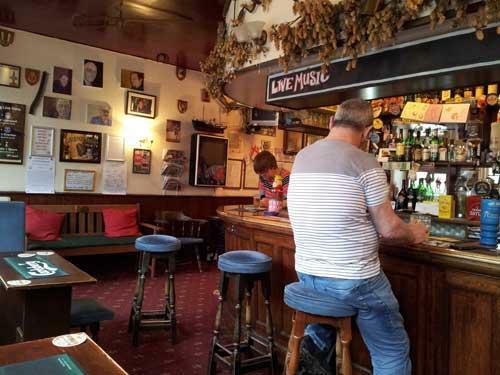 A genuine old fashioned back street boozer (albeit on the old main London to Dover Road). Friendly welcome. Not been here for years. Gone was the booth seating along the side. The pub was nice inside in a modern airy way. Early evening - I made six customers, average age over sixty - friendly welcome - rap style pop music playing. Over the road from my old primary school (St Dunstans) - I remember when this was the main London to Dover trunk road - but before I was old enough to get served in here. Still a very traditional, unpretentious "backstreet" pub. Eagle (was Wells & Young's, was Charles Wells, was Wells) - Young's Special 4.50 Just about a perfect pint of this old stalwart. 16:00 visit. Having missed the City Centre pubs again this trip, we plotted up here for a couple of hours. Good ale and friendly company and amusement in watching some footy and an 8-0 demolition job? The pictures came from Greece, with some interesting holiday adverts coming from a supposedly broke country? Eagle (was Wells & Young's, was Charles Wells, was Wells) - Young's Bitter 3.70 Quite refreshing. I think it tastes much better since coming from Bedford. Sharp's - Doom Bar 4.00 As good as it gets. 12:30 visit. Always a pleasure to come to Canterbury and I think the best day to do some pubs is on a Sunday, and I've not been here for some time too. After chatting in the Goods Shed at the bottle shop, I headed here, a genuine back street local, a current 2013 gbg entry and 17 times previous in 1978-83/7/8/2001/2/4-6/8/9/11-2. 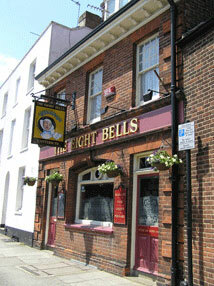 A nice place, well worth a look, and a pub I first visited in 2006. Eagle (was Wells & Young's, was Charles Wells, was Wells) - Young's Bitter 3.70 In good condition. A more refreshing bitter these days. 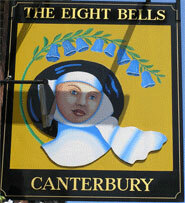 The pub is found in Canterbury, Kent, CT2 8LN. A genuine back street local on London Road, often listed in CAMRA's Good Beer Guide. Original embossed windows and adorned with memorabilia. Small walled garden. We have visited this pub 6 times, seen 5 different beers and tried 4 of them.